Sarasota Emergency Radio Club - The Sarasota Emergency Radio Club, is an Amateur (Ham) Radio club in Sarasota, Florida, dedicated to provide emergency and public service communications. South Florida DX Assn - Florida DXers meet every other month in Ft. Lauderdale to discuss DX, antennas and such. 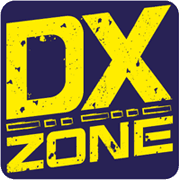 We host the DX forum at the Tropical Hamboree in Miami the first Saturday in Feb.
Clearwater Amateur Radio Society (CARS) - The Clearwater Amateur Radio Society is an active amateur radio club based in Pinellas County Florida. W4AB Broward Amateur Radio Club - The Broward Amateur Radio Club was founded in 1946 and received their ARRL Charter of Affiliation March 2, 1949 and is now one of the largest clubs in the South Florida area today. W4LX Ft. Myers Amateur Radio Club - Fort myers amateur radio club is located in fort myers florida. fmarc has around 300 ham radio operators.